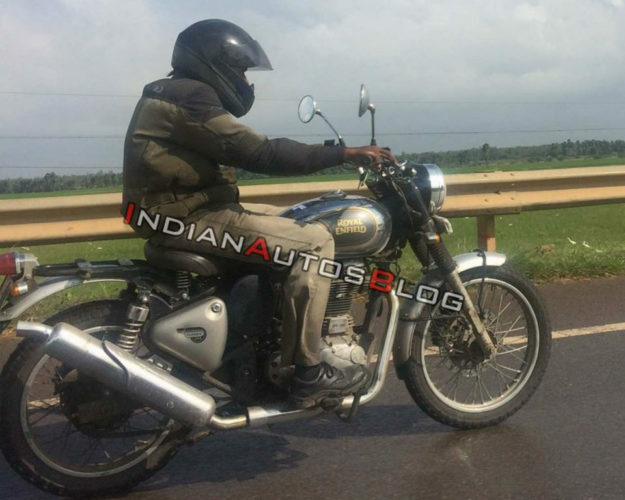 Back in June 2018, Royal Enfield’s Scrambler version of the Classic 500 was snapped at a dealership and nearly six months later, the same version was reportedly spied while on test for ARAI in Pune, suggesting that it was being homologated for local sales. Making the claims legit and indicating that something is definitely brewing under the curtain, the Classic 500 based has been spotted testing in the open for the first time. 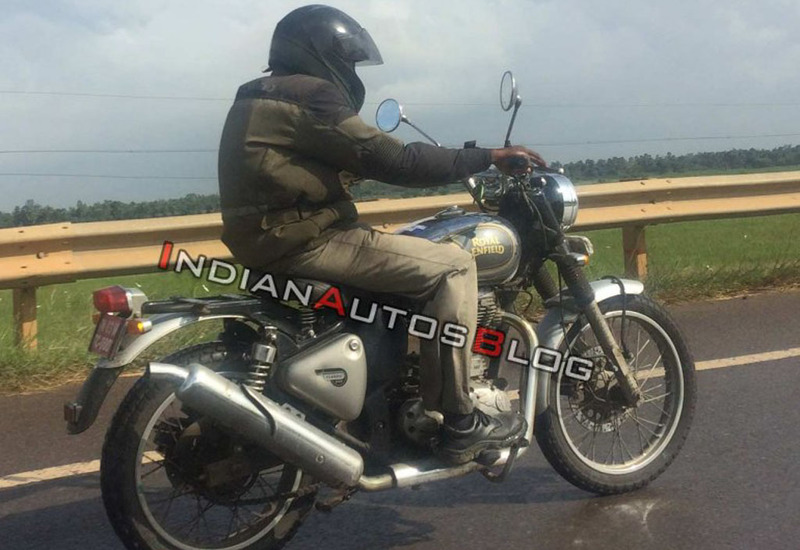 The undisguised test mule is identical to the one spotted earlier except for the addition for Royal Enfield insignia and a different paint job. Royal Enfield has the Scrambler variant of the Classic 500 available for customers in the overseas markets like Europe. With customers wanting to own premium motorcycles in different body styles, there is no better time for RE to introduce the Scrambler in India we reckon. Having introduced the 650 Twins in a highly affordable price range, Royal Enfield could be strengthening its lineup by adding new variants like the Scrambler to foster customers a wide range of buying choice. The Chennai-based retro brand has not made anything official about the Scrambler existence yet but the arrival of Jawa could have altered the proceedings as it might be in a position to inject fresh variants into the portfolio. Considering RE’s not-too-impressive YoY sales growth in recent months, the changes could be inevitable. Externally, the Royal Enfield Classic 500 based Scrambler features its biggest highlight in the form of an upward positioned exhaust system. It is complemented by high set rear mudguard for more wheel travel and pillion seat replaced by a luggage carrier. Elsewhere, the Scrambler 500 is offered as a customisable kit and it may well be the case in India too if RE does not want to position it as a volume seller. It boasts longer exhaust than the optional off-road unit available with the standard Classic 500. It will feature front and rear disc brakes and perhaps dual-channel ABS with switchable function, a specially-made handlebar suited for trail riding, rubber gaiters protecting telescopic front forks and off-road focussed knobbed tyres. Expected to launch in early 2019, it could cost around Rs. 1.90 lakh (ex-showroom) and will continue to use the 499 cc single-cylinder air-cooled engine making 27.5 PS at 5,250 rpm and 41.3 Nm of peak torque at 4,000 rpm and is connected to a five-speed transmission.